What is the BA3 Fundamentals of Financial Accounting? The BA3 Fundamentals of Financial Accounting is a module of CIMA’s Certificate in Business Accounting. The course will teach you a practical understanding of financial accounting and the process behind the preparation of financial statements for single entities. These statements are prepared within a conceptual and regulatory framework requiring an understanding of the role of legislation and of accounting standards. The need to understand and apply necessary controls for accounting systems, and the nature of errors is also covered. There is an introduction to measuring financial performance with the calculation of basic ratios. In this module, you will be taught a practical understanding of financial accounting and how to prepare financial statements using CIMA's globally-renowned management accounting principles. Explore the legal and ethical side of management accounting with the BA4 module of CIMA's Certificate in Business Accounting. Understand the fundamental knowledge of management accounting and the role of being a Management Accountant, with this module from CIMA, the foremost management accounting body. Is the BA3 Fundamentals of Financial Accounting online course right for me? This course is one of the entry requirements for the CIMA qualification, along with three other modules. We also sell all 4 modules as a package at a better rate. Break the study down into manageable pieces and you’ll be well on your way to accounting freedom. The course should take approximately 25 study hours to complete and is available online, upon registration. The BA3 Fundamentals of Financial Accounting is for you if you’re considering a career in business and finance, already working and want to further your professional development, or if you’re looking to change career. The BA3 is one of four modules in CIMA’s Certificate in Business Accounting which is their foundational management accounting certificate before the Professional Chartered Management Accounting Qualification. 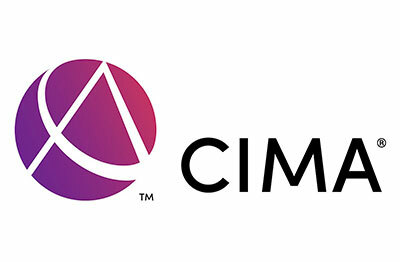 CIMA - Chartered Institute of Management Accountants	CIMA are the largest professional body of Chartered Management Accountants in the world. Their qualifications are the ideal place for any management or financial accounting or business-focused professional to improve their knowledge and skills. What job can I get with the BA3 Fundamentals of Financial Accounting online course? Once you have achieved the CIMA Certificate in Business Accounting, you can move on to the CIMA Professional Chartered Management Accounting Qualification. When you have successfully passed both you will become a powerhouse in the finance industry as a Management Accountant, with skills in finance, management and strategy. Why study the BA3 Fundamentals of Financial Accounting with e-Careers? What are the BA3 Fundamentals of Financial Accounting online course modules? What does the BA3 Fundamentals of Financial Accounting online course cover? The core concepts that relate to accounting for business and how these can be applied to real experiences. Principles of ledger accounting, including the principles of double-entry bookkeeping, the preparation of cash and bank accounts, petty cash statements, non-current asset registers and accounts for payroll. These will play a major part in your role as an accountant in the real world and so are pivotal parts of this course, too. How to prepare accounts for transactions, gaining insight into accruals and prepayments, bad debts and allowances for receivables and inventories, while also learning how to make adjustments where necessary and ensuring that the numbers all add up. What internal and external audits are and the basics of what they entail. Distinguish between them and learn more about why they are so important for the operation of a business. How errors in accounting are corrected, including those of principle, omission and commission. Practice with hands on tasks which will help you to learn through doing. The nature of fraud, and how it can be detected and prevented to ensure smooth running of a business and its accounts. Understand the fundamentals of business and management accounting to start your journey as a powerhouse in the finance industry with the Certificate in Business Accounting full training package. Learn the fundamental aspects of economic activity and impacts related to the decisions of an organisation with this module from the CIMA Certificate in Business Accounting. Learn how to influence business strategy decisions with a medium-term focus based on financial principles with the second level of the CIMA Professional Chartered Management Accounting Qualification. Hello, I am interested in your "CIMA BA3 - Fundamentals Of Financial Accounting".